Reputation Management: Get as Many Positive Reviews as You Can! Get as many positive reviews as you can, NOW! We can’t say this enough. The best way to shield your practice from any future negative review, is to have a steady flow of positive reviews, now. 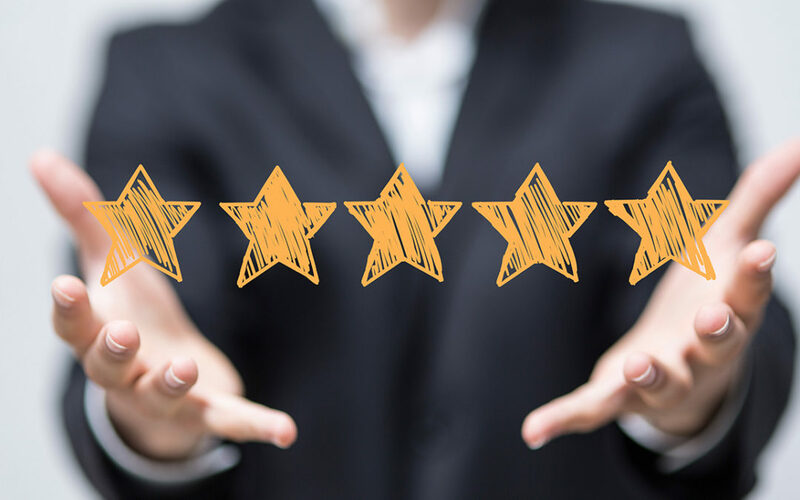 Reviews not only help your Search Engine marketing by improving local search visibility, they should also be a part of your reputation management strategy as well. At some point most businesses will get a negative review. Do not wait for your first negative review that drops your score to get positive reviews. Be proactive and encourage reviews now! How to get reviews? Just Ask! Studies show that 7 out of 10 clients will give you feedback if you ask. When you ask be sure to point them in the right direction. Give them the URL or point them to your website where your Google & Facebook profiles are linked. If you have your client’s email address, put together an email template that includes the exact URL to your Google listing. While Google would be the 1st choice for reviews, also diversify and include Facebook, Yelp, and Foursquare. Reputation management is a must! At Brad Hart Creative Group we provide reputation management services to businesses by claiming and tracking your listings. We monitor your reputation and alert you when an issue arises that needs to be addressed immediately. Contact us today to find out more!